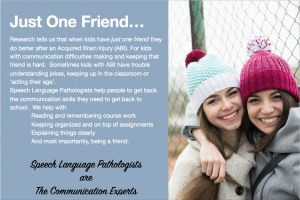 Regardless of severity, acquired brain injuries (ABI) can result in complex cognitive, communicative, physical, and emotional impairments that require interdisciplinary assessment. 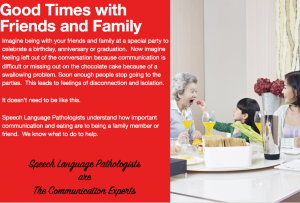 This checklist, the CCCABI, identifies communication difficulties to be addressed by a speech-language pathologist (SLP) or speech therapist. 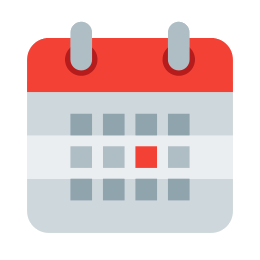 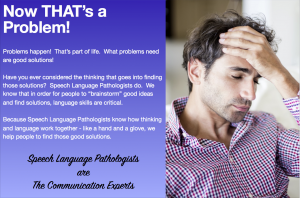 The cognitive-communication difficulties that can occur after a brain injury can have a significant impact on communication in everyday life. 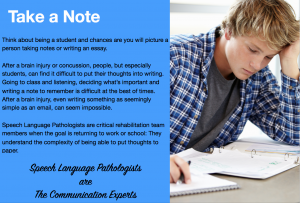 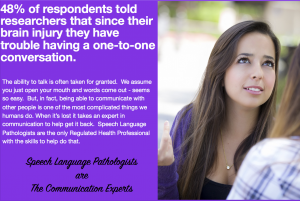 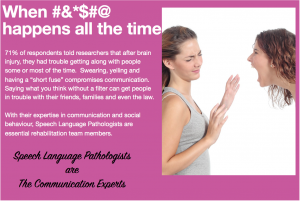 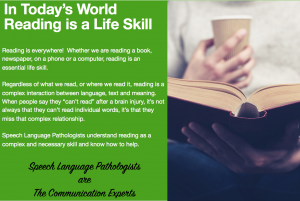 These postcards highlight real-world communication problems, in everyday, straight forward language and remind us that Speech-Language Pathologists are the “Communication Experts”.